Bellis wins with her 3:55 a.m. Tuesday guess "The first traffic signal in Pasadena? 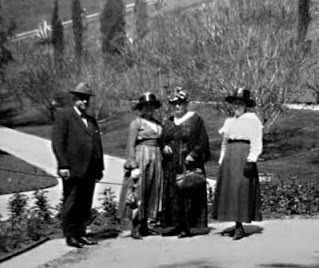 I'm guessing the year could be 1910 or thereabouts, and the location Fair Oaks and Colorado." 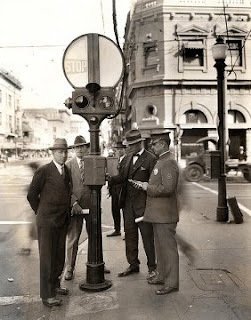 The photo above was one of many taken to document the installation of new traffic signals in downtown Pasadena. Unfortunately the year and specific intersection are not identified. 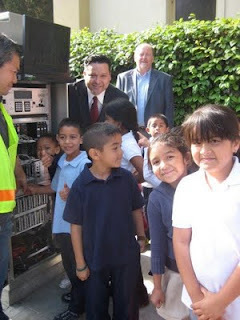 Here are children learning about the inner workings of traffic signals that day. That's Fred Dock, director of the Transportation Department, behind City Councilman Victor Gordo. If you haven't taken our General Plan survey yet, what are you waiting for? Today's the deadline for telling us what your priorities are for the future of land use in Pasadena. Don't let these decisions be made without your input! Click here. Tuesday, July 12, at 3 p.m. – Tour the world! Explore Scotland through stories, games, activities, crafts and snacks at Santa Catalina Branch Library. This is a Summer Reading Club event. Be sure to pick up your passport any Pasadena public library; attend two or more world tour programs or have your passport stamped at all 10 library sites to enter a drawing for special prizes! 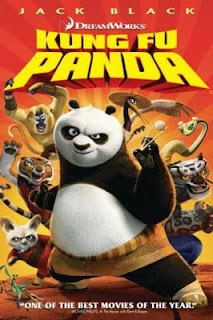 Tuesday, July 12, at 7:50 p.m. – If it’s dusk, it’s time for movie night on the field at Villa-Parke Community Center, 363 E. Villa St. Tonight’s feature is “Kung Fu Panda” (2008, PG). Don’t forget the lawn chairs and blankets! Wednesday, July 13, at 10:30 a.m. – Tour the world! 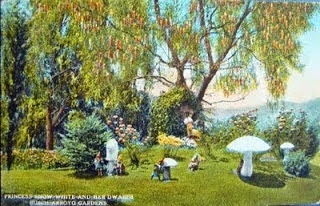 Explore Germany through stories, games, activities, crafts and snacks at San Rafael Branch Library, 1240 Nithsdale Rd. This is a Summer Reading Club event. 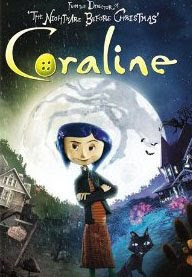 Wednesday, July 13, at 1 p.m. – This week’s film at Lamanda Park Branch Library is “Coraline” (2008, PG) with the voices of Dakota Fanning, Teri Hatcher and Ian McShane in the animated story of an adventurous girl who finds another world that is a strangely idealized version of her frustrating home, but with a few dark secrets. 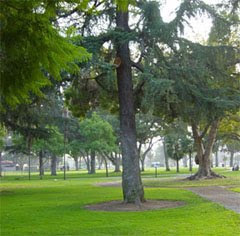 Wednesday, July 13, at 7 p.m. – Do you love Pasadena’s open space areas and want to see them protected for future generations? The Draft Open Space and Conservation Element of the General Plan will be presented during a community meeting at La Casita del Arroyo. Through Wednesday, July 13 - The deadline to take the General Plan Survey has been extended to July 13! The survey asks which land use alternative for future growth, or combination of alternatives, are preferred for six planning areas. A special newsletter with information on the alternatives with the survey was mailed to all households and businesses in mid-June. Thursday, July 14, at 10 a.m. – Barbara Wong will tell mysterious, centuries-old tales from China and Hawaii in the Donald R. Wright Auditorium at Pasadena Central Library. This is a Summer Reading Club event. 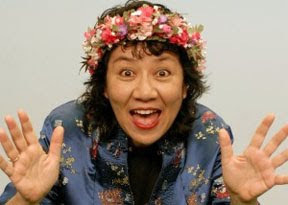 Thursday, July 14, at 1:30 p.m. – Barbara Wong repeats her program at Allendale Branch Library. 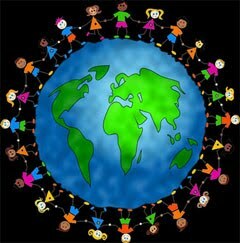 Thursday, July 14, at 3:30 p.m. – Tour the world! Explore France and England through stories, games, activities, crafts and snacks at Lamanda Park Branch Library. This is a Summer Reading Club event. 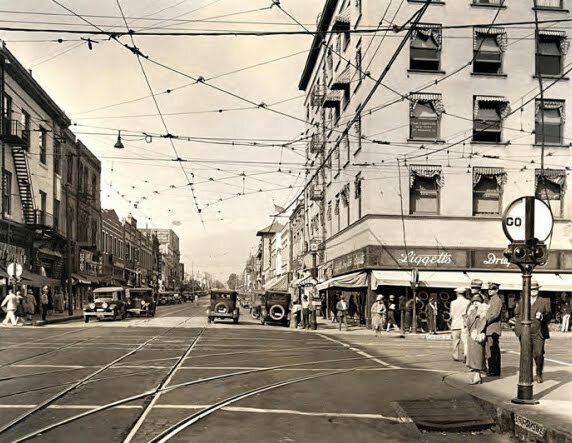 Thursday, July 14, at 6 p.m. – Help assess Pasadena’s critical needs and funding priorities during a workshop in the Donald R. Wright Auditorium at Pasadena Central Library sponsored by the Human Services Commission. 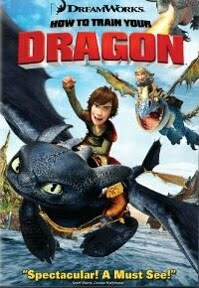 Friday, July 15, at 6 p.m. – Bring the family for movie night at Victory Park, 2575 Paloma St. Family fun, food and music will begin at 6 p.m. and “How to Train Your Dragon” (2010, PG) will begin at dusk. Bring blankets or lawn chairs! 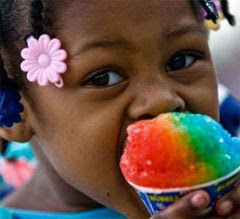 Saturday, July 16, from 9 a.m. to 5 p.m. – It’s the second annual Summer Festival at Robinson Park with loads of family fun! Saturday, July 16, from 10 a.m. to 9 p.m. - The second annual L.A. Street Food Fest at the Rose Bowl Stadium will feature well-known celebrity chefs, 15 gourmet food trucks, 24 restaurants, five local loncheros, eight carts and stands, and so much more that you'll have to experience it to believe it! Purchase a ticket for the session(s) of your choice, bring a picnic blanket and get ready for a tasty good time! It’s Summer Reading Club time with the theme One World, Many Stories through Aug. 14 for children 12 and younger and through Aug. 20 for teens. They can register at any Pasadena public library. Children will get a special reading log, stickers and book bag, then bring their reading records in when they’ve read 200 minutes to receive their prizes. Hey, teens: Every time you finish a book, magazine, graphic novel or audio book, fill out a prize entry slip with a bit of information about you and the item you’ve finished, then drop it into a specially designated prize box. All events listed are free unless otherwise noted. See even more community events (and add your own) here. 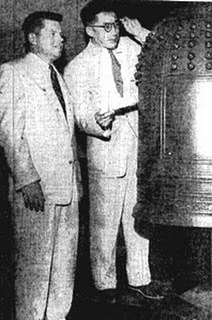 Remember this Mystery History post from March about the centuries-old Japanese bell? 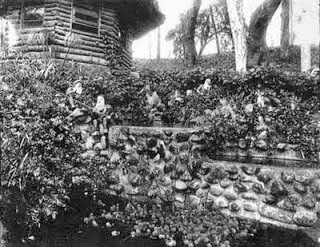 It was war booty that wound up at Pasadena City Hall before being returned to the Nishaiarai Daishi Temple in Tokyo. Thanks to Sid Gally, everybody's favorite research archivist at Pasadena Museum of History, I have an update! Sid's son, Tom Gally, is a professor at the University of Tokyo and visited the temple last week. He provided these photos to his dad, who was kind enough to pass them on to me. Tom even had this photo taken of himself with a monk holding the Pasadena Star-News, which I hope we'll see soon in the pages of the paper. Bravo, Sid and Tom! Pasadena thanks you. 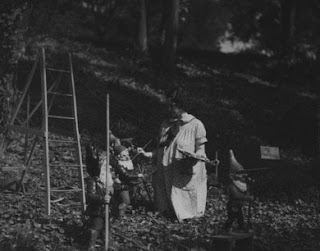 Chris Brandow wins with his 4:02 p.m. Tuesday guess "Busch gardens, maintaining the gnome decorations down in the arroyo." 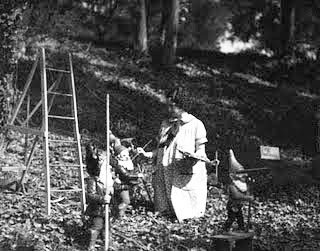 In the 1933 photo above, an artist touches up sculptures of gnomes at the 30-acre Busch Gardens in Pasadena's Arroyo Seco. 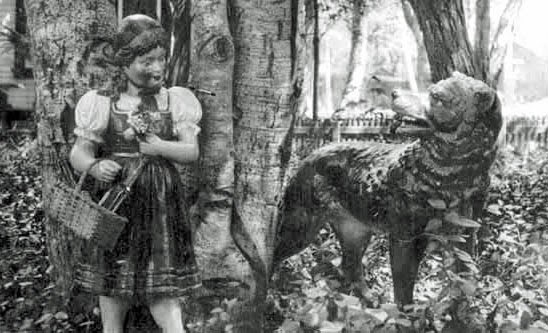 Busch Gardens included 14 miles of pathways, 100,000 plants and shrubs, rare birds and more than 100 brightly painted sculptures imported from Germany, including Little Red Riding Hood. 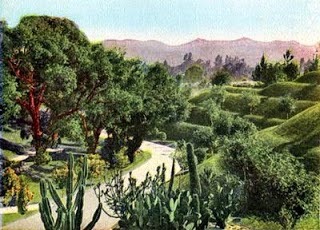 But the sheer scope and majesty of Busch Gardens was the ultimate draw, making it the most popular attraction in Southern California. 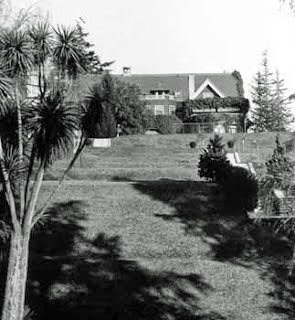 It had a sloping back lawn that went down into the Arroyo Seco. 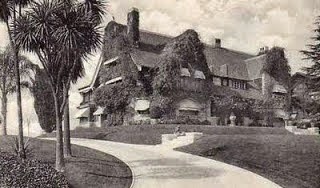 Adolphus passed away in 1913 in Germany, where he and Lilly had a vacation villa. 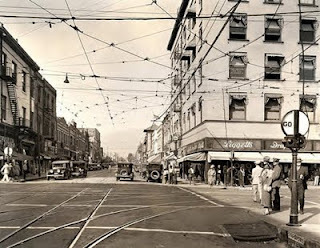 In the mid-1930s the property was subdivided into four parcels and sold to developers. There's so much more to the Busch Gardens story than can be told here on my little blog, so I'll point you in the direction of additional information. 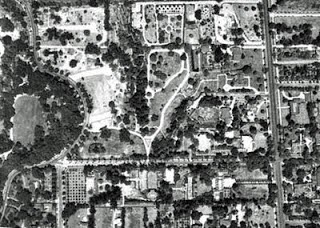 The Pasadena Museum of History hosted a very important exhibition in 2005 commemorating the 100th anniversary of the opening of Busch Gardens. 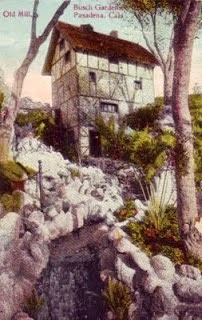 A series of very good descriptions of Busch Gardens and dozens of photo images can also be found here. 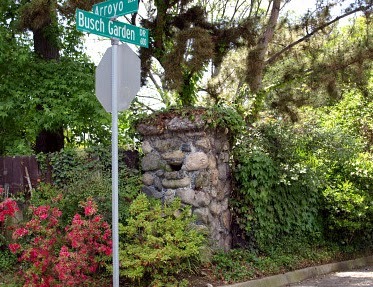 Pasadena Daily Photo blogger Petrea has posted about remnants of Busch Gardens, such as this one. The first to guess correctly will win a fabulous prize! 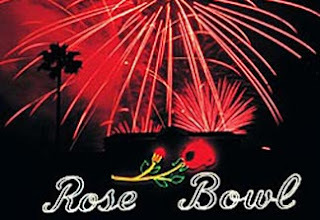 Monday, July 4, from 2 to 10 p.m. -- It's the family festival outside the Rose Bowl Stadium at 2 p.m., then gates will open at 6 p.m. for the Fourth of July entertainment and fireworks. If you watch fireworks from outside the Rose Bowl, you'll miss out on the incredible tribute to U.S. military personnel in Iraq and Afghanistan, the Jan and Dean Show featuring Dean Torrence, the Mariachi Divas, Drum Corps International's Phantom Regiment, motorcycle stunts performed by the Ives Brother FMX and, of course, the biggest and best fireworks spectacular in Southern California, which includes a lot of ground effects inside the stadium. Tickets are still available at just $13 per person (children under 7 and active military personnel are free). Wednesday, July 6, at 1 p.m. – Our weekly film series has moved from Central Library to Lamanda Park Branch Library for the summer. 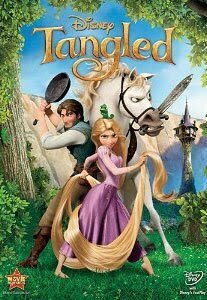 The season kicks off with “Tangled” (2010, PG), the animated Disney take on the Brothers Grimm tale of Rapunzel. 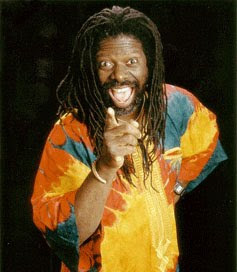 Thursday, July 7, at 10 a.m. – Folkteller Michael McCarty will share tales from all over the world in the Donald R. Wright Auditorium at Pasadena Central Library. This is a Summer Reading Club event. 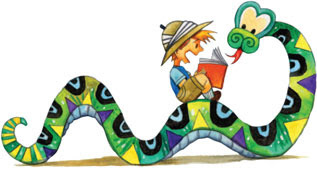 McCarty will share tales the same day at 2 p.m. at Hill Avenue Branch Library. 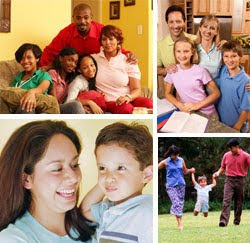 Through July 8 -- Take the General Plan Survey! It asks which land use alternative for future growth, or combination of alternatives, are preferred for six planning areas. A special newsletter with information on the alternatives, with the survey included, was mailed to all households and businesses in mid-June. The survey can also be completed online. 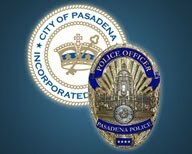 Saturday, July 9, from 8:30 a.m. to noon – The Pasadena Police Department will sponsor a public workshop on the rights of crime victims. 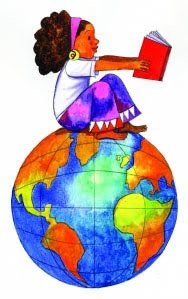 Through Aug. 14 and Aug. 20 -- It’s Summer Reading Club time with the theme One World, Many Stories through Aug. 14 for children 12 and younger and through Aug. 20 for teens. They can register at any Pasadena public library. Children will get a special reading log, stickers and book bag, then bring their reading records in when they’ve read 200 minutes to receive their prizes. Hey, teens: Every time you finish a book, magazine, graphic novel or audio book, fill out a prize entry slip with a bit of information about you and the item you’ve finished, then drop it into a specially designated prize box.